The best place for practicing water activities in Ibiza is the San Antonio bay, because there are no big waves. In the bay of San Antonio you will find many water sport centers that have a wide range of activities. 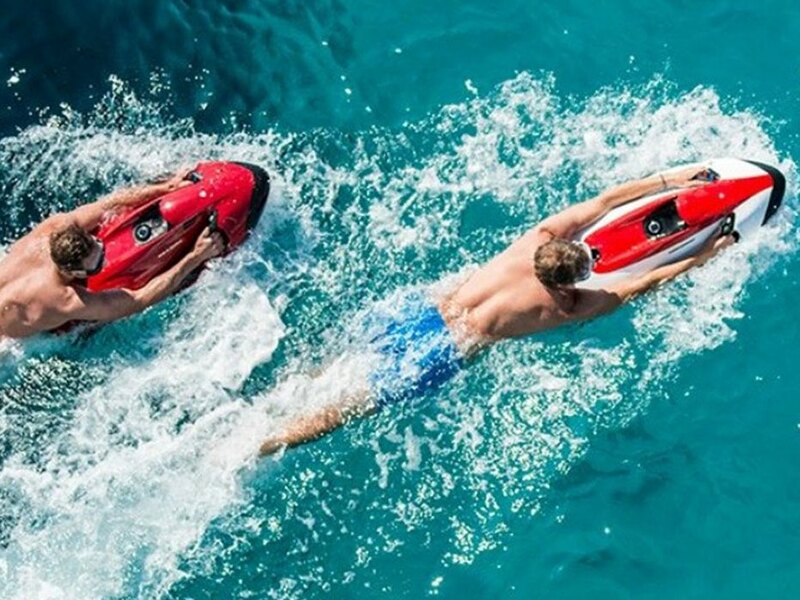 You can rent a jet ski, fly in parasailing, try the Fly Board and Wake Board or ride a Banana Boat. For those who like the underwater world, it is worth to try diving or snorkeling. 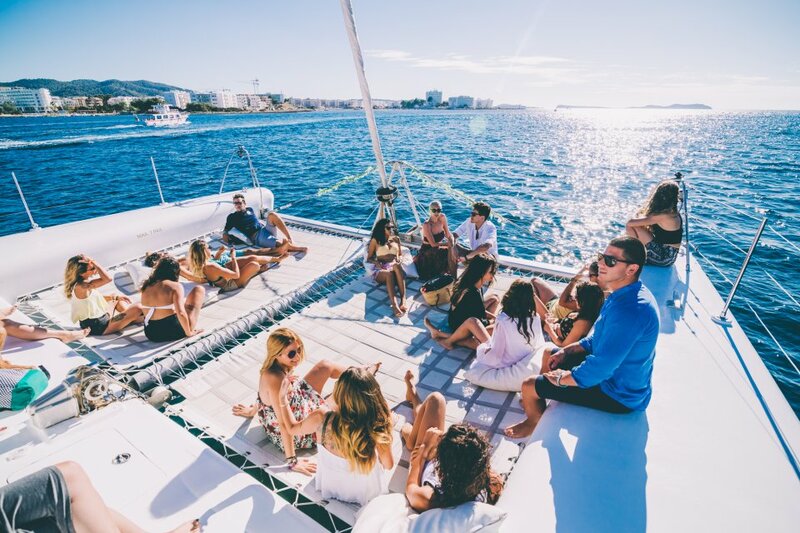 The weather in Ibiza is ideal for boat trips. It is worth visiting the beautiful coast of the island by boat. From the deck you can admire the fabulous beaches and coves, cliffs and caves. In our offer we have a catamaran tour to the mysterious rocks of Es Vedra and the breathtaking Formentera island. We also suggest you see the sunset in front of the famous Cafe Mambo and Cafe del Mar during a boat trip. For people who like speed, we have a speedboat trip. Would you like to get to know the north of the island? Here you will find beautiful rural views, mountainous areas, cliffs and charming beaches. It’s worth discovering this quieter part of the island during a quad tour or a buggy tour. Ibiza offroad is an interesting experience for adventure seekers. 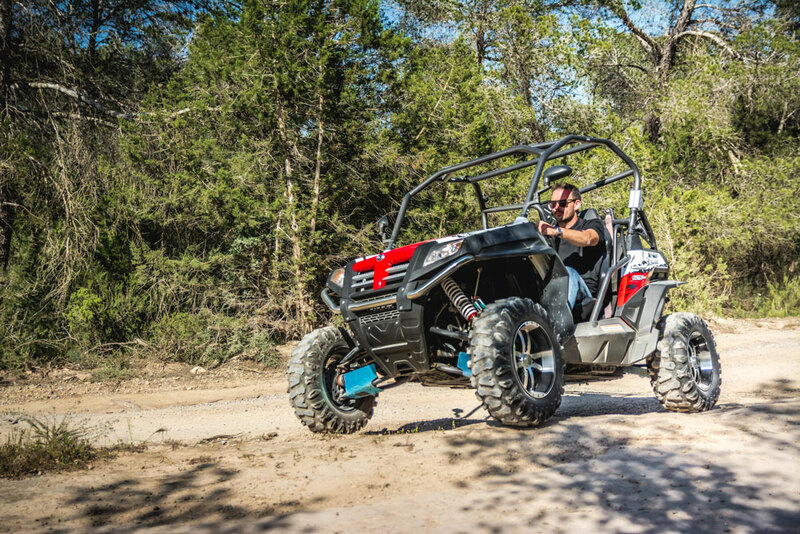 If you want to explore Ibiza on your own, we suggest quad bike rental or buggy rental. In our offer we also have 4×4 jeep safari tours. 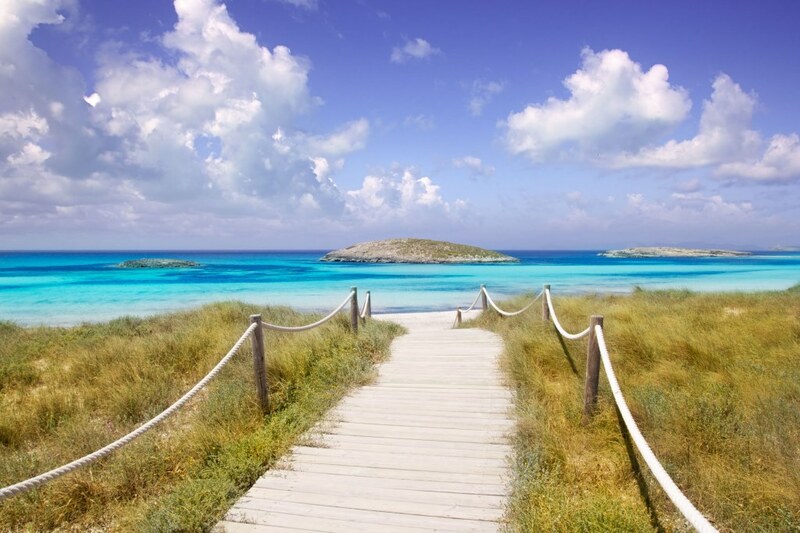 While on your holidays, you must visit the neighboring island of Formentera. Turquoise water and white sand will make your holiday photos unforgettable. How to get to Formentera from Ibiza? The fastest way to get to Formentere is from the capital of the island – from Eivissa. We offer an all-inclusive catamaran excursion with barbecue and drinks. The catamaran is moored by the shores of Illetas beach, it is an ideal place for swimming and snorkeling. For those who like sightseeing, we have a coach trip with a guide and free time on the beach. 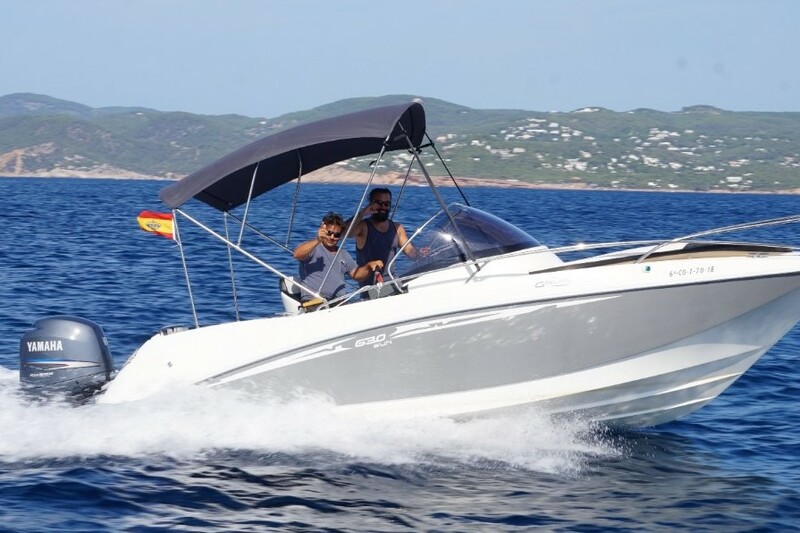 Take your friends or family and rent one of our 5 meter open bow boats. 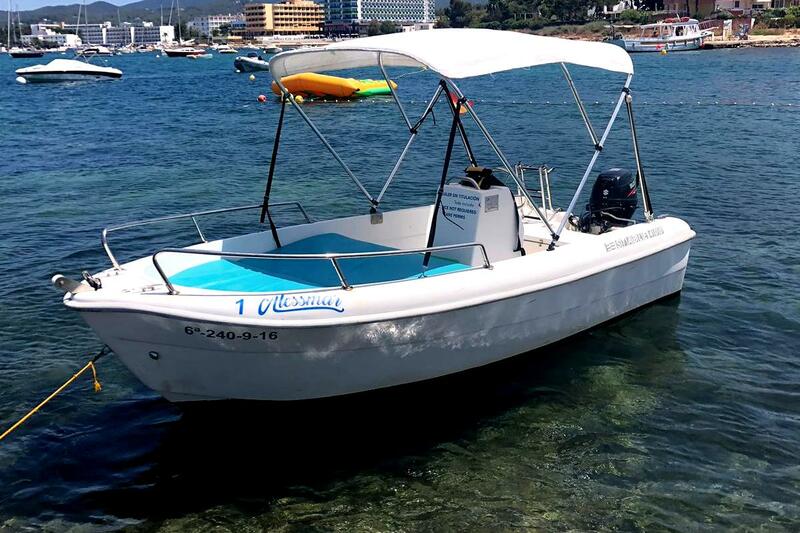 Small boat is great option to discover beautiful beaches and for cruising the bay of San Antonio. Its fully equipped with everything needed for a great day out on the water. Enjoy the best beaches and sunset of the island. Enjoy the pleasure of sailing in this crystal waters by yourself. Very easy driving!